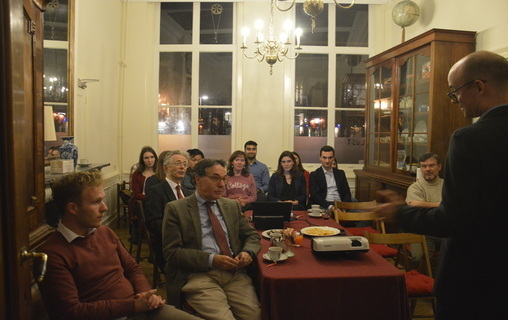 On Friday, November 17 the Sen Foundation invited its members and alumni to a reunion in Den Haag. The evening started with a shared dinner which was composed by dishes from different countries everyone contributed. Meanwhile, we heard updates by Rob Zeldenrust, Joris Voorhoeve and Kathinka Gaess about the current and most recent developments of the foundation. In this regard, the two books soon to be published were being introduced as well as the new website. While having dessert, the group moved to a different room, where current Sen members held small presentations about their current jobs. Sen members told about different carrier steps as well as the challenges and tips and tricks on how to find a job. At the same time, the group received different insights about how it is to work at places such as the Netherlands Enterprise Agency, CNV international or the Municipality of Hoorn. As a third point on the programme, different projects were introduced. 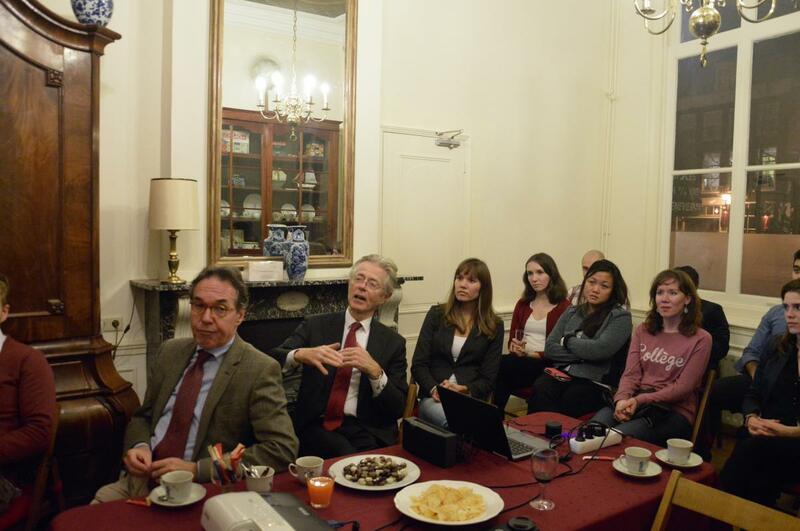 Joris Voorhoeve informed us about the water desalination project that the Sen Foundation is supporting in cooperation with The Hague University. Jan-Willem Oostenbroek showed us an infographic book explaining the International cooperation for the Sustainable Development Goals by the PBL Netherlands Environmental Assessment Agency. Also, he explained about changeroo – an inspiring app that helps organizations developing their theory of change. In the end, the evening offered sufficient time for former Sen members to catch up and for more recent members to network and understand the spectrum of diverse and inspiring people the Sen Foundation is working with.